Parliament Hill in Ottawa has long served as the home of the country’s primary governing body, and in 1876, the Library of Parliament was constructed to serve as that body’s primary information and research resource. 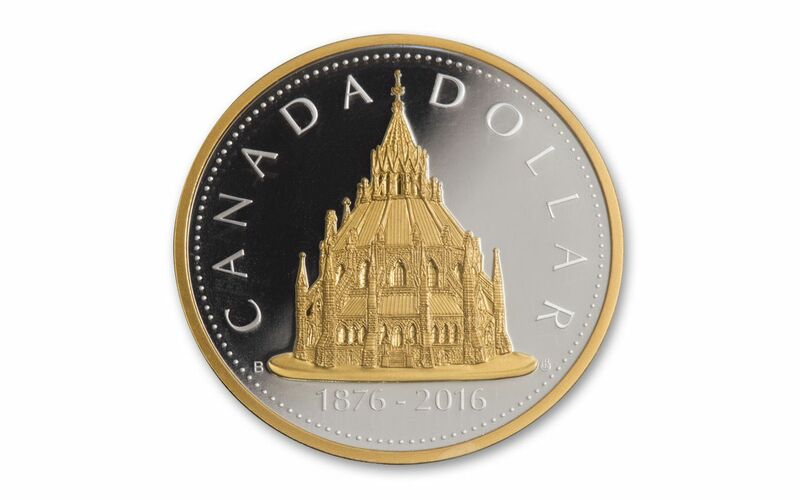 The Library’s main branch, which is depicted on this coin, stands at the back of Parliament Hill’s Centre Block and is the final untouched part of the original building that remains after a fire burned other parts in 1916. The striking building is a Canadian landmark that is so important that it appears on Canada’s $10 note. This coin celebrates the building in all of its glory with a gilt design that accentuates every aspect of its design. SECOND IN THE MASTERS CLUB SERIES – This 2-oz Silver Library of Parliament is the second coin the Royal Canadian Mint’s exclusive Masters Club Series. GORGEOUS PROOF WITH GOLD PLATING – This coin has a proof finish and selective gold plating on the obverse, reverse, and edge of the coin. The Library of Parliament building is gilt in full, while Arnold Machin’s portrait of a young Queen Elizabeth II features plating of her tiara and clothing. 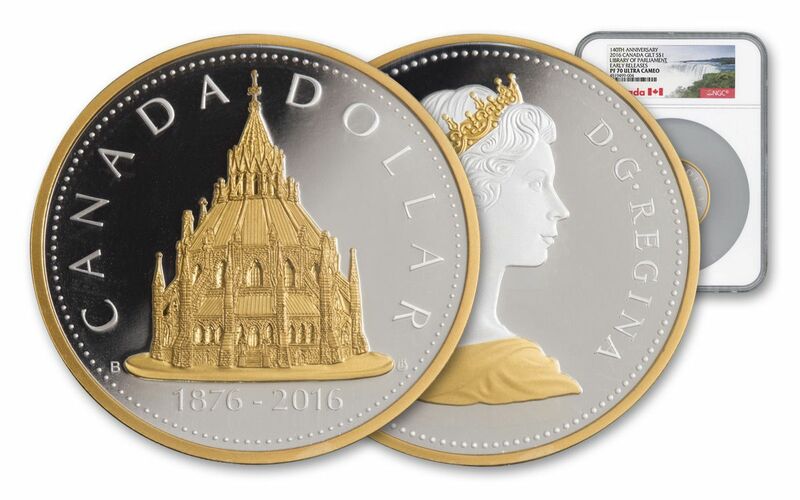 CANADA LEGAL TENDER -- Each 2016 Silver Library of Parliament Proof is $1 Canadian legal tender, as noted on the rim on the reverse. In addition to being home to one of the world’s elite mints, which produces countless series for a wide range of collectors, Canada is home to breathtaking scenery, which includes endless forests, deep blue lakes, and stunning shorelines. CERTIFIED FLAWLESS -- Your coin will be certified Proof-70 Ultra Cameo (PF70UC) by Numismatic Guaranty Corporation (NGC), a distinction that means your perfectly-graded proof will have ZERO imperfections -- showing all features and fields exactly as the engraver and mint intended! A LIMITED MINTAGE – Only 2,500 pieces were minted in this exclusive issue. Libraries have inspired people throughout the centuries. They have provided places for people to learn and share information, democratizing to enable increased knowledge and innovation. In 1876, the Library of Parliament opened to do just that for the Canadian government. 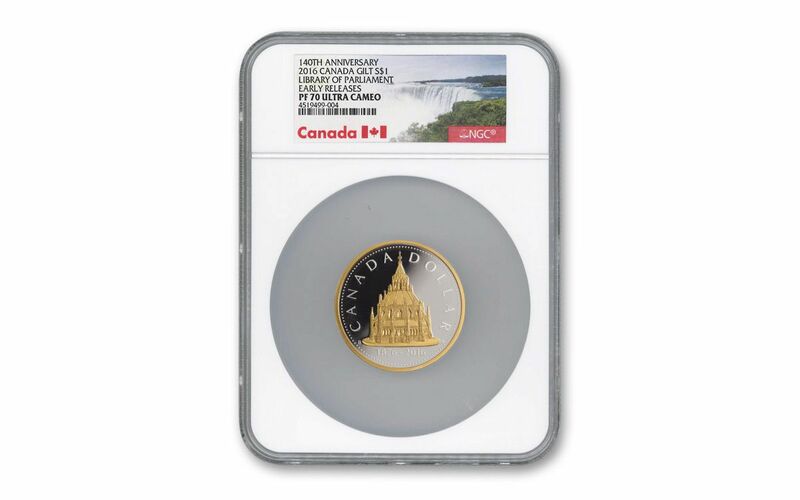 This 2-oz Silver 2016 Library of Parliament Proof presents that iconic landmark in all of its glory. 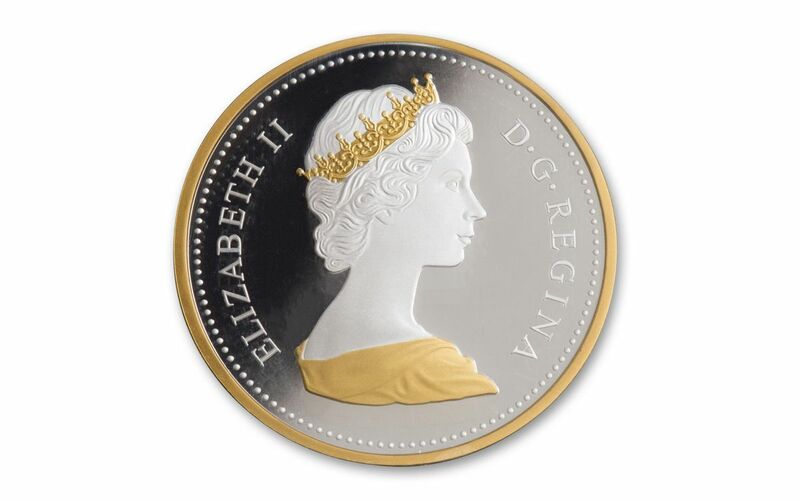 With a low mintage of just 2,500 pieces, this beautiful coin will soon be hard to find, so order yours now at GovMint.com!